For a small country, Nepal has one of the most impressive terrain and topographical features. The country’s northern region is home to some of the tallest Himalayan ranges in the world. Among the ten tallest mountains peaks on the planet, eight of them are located in Nepal, including the world’s tallest mountain peak- Mount Everest. As such, trekking journeys in Nepal are quite amazing. Not only is trekking there an affair consisting of amazing mountains and Himalayas, it is also a great chance to observe and learn about the unique culture and tradition of the local village people. As most of the trekking journeys in Nepal occur at distant regions, it provides one of the greatest opportunities to be immersed in the exotic culture of the country along with enjoying the mountainous landscape and the views and sights of the cerulean Himalayan peaks. Among the many trekking journeys that can be done in Nepal- the most famous one is the Everest Base Camp Trek. It takes place in the beautiful Khumbu region and the trekking trail of the journey takes trekkers and travelers through many prominent Sherpa villages and settlements before finally reaching the base camp of the world’s tallest mountain peak. 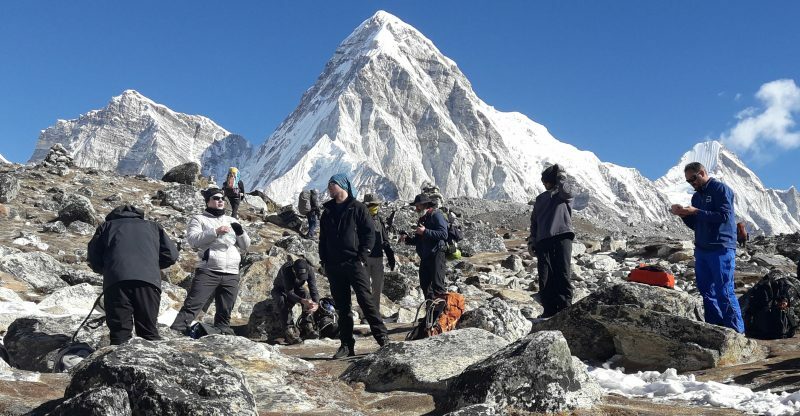 A trek with a moderate trip grading, the base camp trek to Everest is perhaps one of the most popular trekking journeys in the world. Every year, thousands of enthusiastic trekkers and travelers from all over the globe visit Nepal to do the journey. Nepal experiences four major seasons throughout the year. They are the summer season (June-August), the winter season (December to February), spring (March to May) and autumn (September to mid-December). Choosing the right season plays an important role in whether or not the trekking journey will be pleasant. The seasons of spring and autumn are the best trekking seasons for doing the trek. 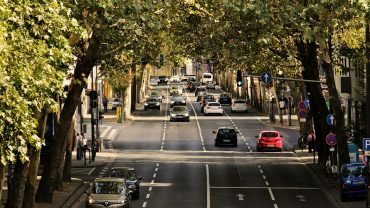 The weather during spring and autumn are the most suitable as the temperatures during these seasons hover on average degrees and there is very little chance of rain. As a result, clear views of the mountains can be seen and the woods and the forests of the Everest region also become quite lush and verdant, especially in the spring. Furthermore, the fall in the mountains is also extremely beautiful. As a result, spring and autumn are also referred to as “peak trekking seasons”. The Everest Base Camp Trek is moderately easy to do. However, choosing the right trekking equipment is one of the most important parts of completing the trek successfully. Among the trekking equipment, proper hiking boots are the most significant. If you are planning on doing the Everest Base Camp Trek, make sure that you have hiking boots that you are comfortable in. Break into your boots beforehand. If you are not used to your hiking boots, then while trekking- you may develop blisters which can diminish your trekking experience. Other equipment necessary besides warm and proper clothes are hiking poles. They help in the overall balance of the body while trekking and make the journey through the mountain terrain easier. Warm sleeping bags are also required. They help in keeping one comfortable during the night when the temperature in the mountains drop rapidly once the sun sets. While trekking, it is advised to pack as lightly as possible. Only packing the absolutely necessary items is the best way to do the trek. Generally, while trekking, you can hire porters for carrying your bag-pack. Packing light will reduce the chance of you losing things. It will also reduce hassles as well. Consequently, a porter is capable of carrying about 10 to 12 kg of weight per person. Thus, packing heavily and carrying everything will become quite bothersome. Carrying heavy bag-packs uphill in the mountain will be difficult for the porter as well. That is why packing light while trekking is the best option. While trekking at high elevations, some people might suffer from altitude sickness. Altitude sickness occurs when a body is not able to adjust to high altitude conditions. Symptoms of altitude sickness include headache, nausea, loss of appetite and sleep and dizziness. If the symptoms are not treated early and properly, it can have severe consequences as well. The occurrence of altitude sickness varies from person to person. Medicines can be taken to avoid altitude sickness. Staying properly hydrated and eating full will also help in reducing the chance of the sickness. Trekking slowly and proper acclimatization to the high altitude should be done. You should not rush your trekking journey without letting your body properly acclimatize. Adjust your pace according to your convenience and take it easy and slow. When you arrive at Nepal, make sure that you exchange your foreign currency to local Nepali rupees. Doing so will make it easy for you to buy and pay for things like meals and accommodations in the mountains easily. There are no currency exchange centers in the mountains. Thus, carrying local Nepali currency will make the trek easier. You can exchange your currency in Kathmandu before starting the trek.